My little people are very lucky! 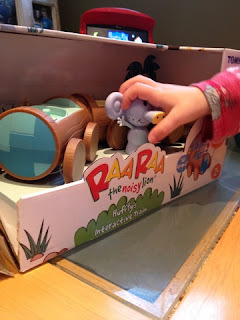 We were recently sent a huffty's train to review from raa raa the noisy lion toy collection! It features a smart spot system so the train can recognise which character is on board and interact with, or as, that friend! Huffty's train comes with Huffty the elephant and two carriages. 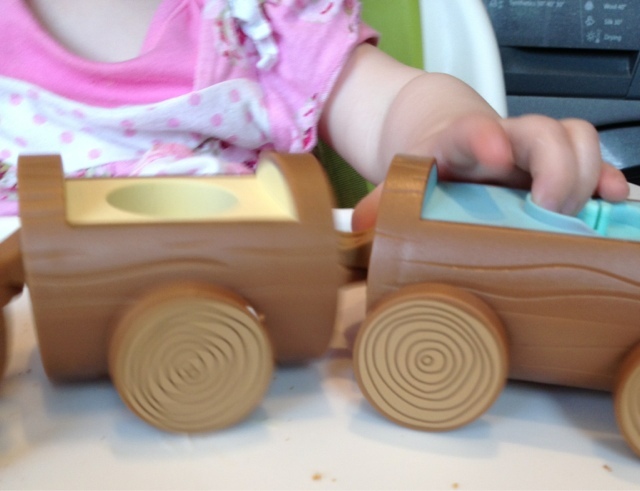 Easy to push along and full of great sound effects - Blake (aged 2) loves the choo choo sounds! "Raa Raa and his friends can enjoy a ride in the carriages. The innovative interactive ‘Smart Spot System’ will recognise all of Raa Raa's friends - so collect them all to activate over 15 sounds and phrases!" 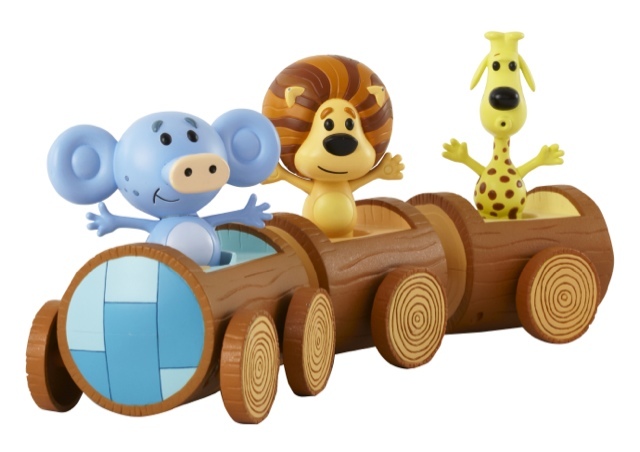 Both Blake (almost three) and Maegan (almost 1) have enjoyed playing with this set and Blake has hinted at some more "friends" to ride on the train for his upcoming birthday! 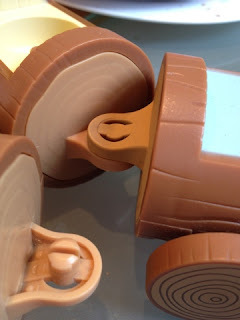 Blake likes that the carriages easily click and stay together - he gets frustrated with other train toys which don't stay locked together during play.